Urine tests are no joke. But Clear Choice solutions will let you have the last laugh, and stay green so you can pass your upcoming drug tests. Finding or keeping a good job isn’t just about how well you perform on the job. It’s about how you perform in the bathroom. If you smoke on the regular, then you know the frustrations. The irony is that today more than ever, many of the best employees happen to enjoy cannabis, and why not? Over half the country is legal for medical use and several states for recreational. But the unjust practices still in place work against pot users, as THC stays in the body for weeks or even months in regular consumers. Cannabis remains the safest recreational substance used by man. However, dangerous drugs like cocaine and PCP only stay in the body for up to a week. Drug testing predominately catches harmless and productive pot smokers far more than the actual workplace dangers they supposedly help keep at bay. For that reason, from the onset of drug testing, savvy smokers have tried to beat the tests. But gimmicky home fixes don’t work on the spot. 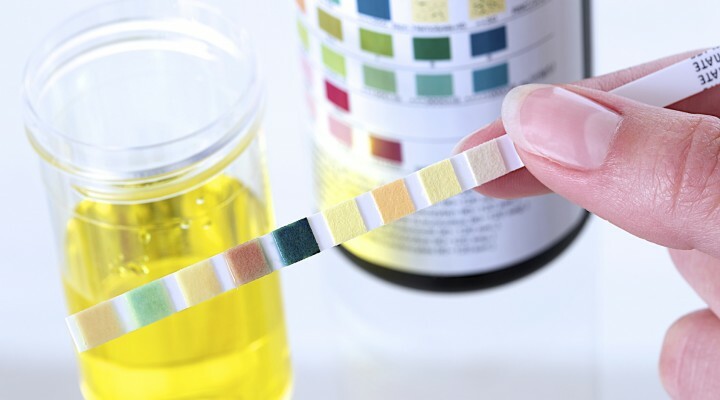 Thankfully, for urine tests, the most common method of detection, there is now a simple solution. The most powerful tool to prevent testing positive is first knowing what kind of test is in place. If you work there already, then you should probably know from the interview or other coworkers what the testing consists of. If you are just applying, take the time to ask people who have worked there before. The first is done in a lab, using a machine that separates all chemicals present and analyzing their structure to identify them. Needless to say, the process is both highly accurate and expensive. The same test is used by crime scene analysts, chemical researchers, and even scientists studying Martian soil samples. Luckily, only very high-level jobs require this type of test, because it is virtually impossible to defeat. But for 99% of “lab testing“, the latter test is used. It is far cheaper, and results are faster and easier to read for less qualified personnel. Even better, this test can now be beaten easily. The EMIT test uses a chemically reactive strip to test for the presence of drugs and alcohol. It works just like a pregnancy test. The wrong color change equals guilt. But since it only tests a reaction, neutralizing the chemicals in the urine prevents the reaction. To beat an EMIT test, Clear Choice brand Spike Urine Additive is the only sure bet. Just a small vial or two for heavy smokers mixed into the urine sample, and within minutes, it neutralizes all tell tale toxins or metabolites. It is important to note that this does not work on cups with a test strip integrated into it. Those all-in-one cups don’t give time for the Spike Urine Additive to neutralize the chemicals before the strip absorbs the urine. But since those tests are also more expensive than the standard, penny-pinching companies usually don’t use them. Remember how we said that the GC/MS test is virtually impossible to defeat? That’s right, Clear Choice can even best the confirmation test. Their Instant Clean Additive works specifically on herbal toxins, making it a must-have life saver for cannabis lovers facing a second look confirmation test in a lab. The formula is designed specifically for a GC/MS test only, so don’t use it on EMIT testing. But if a second test is required, the subject will be told what type of test it will be. If Spike is for everyday situations, this is the other half of the dynamic duo of dirty test deceit. Clear Choice brand has been the staple of beating drug testing from the very beginning. They dedicate thousands of hours of intensive laboratory testing and investigation into the latest testing techniques to constantly beat the system. Don’t risk your livelihood on bargain imitators, or sketchy home fixes. From urine tests to oral swabs, Clear Choice really is the clear winner for those wanting to enjoy the herb without a worry. Check out all their lab-tested solutions at DrugTestingSolutions.com.